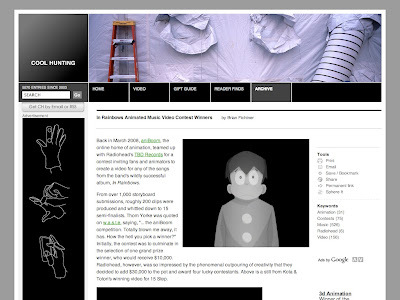 First off... Coolhunting have a feature on the recent Aniboom fanimation comp for In Rainbows. Some genius on display. 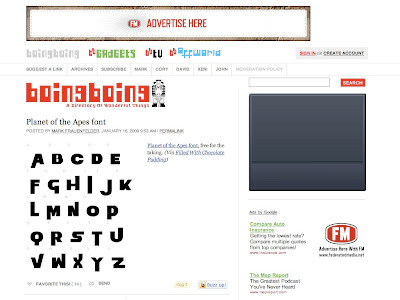 Next up... boing boing have posted links to a fab Planet of the Apes font. Lovely! 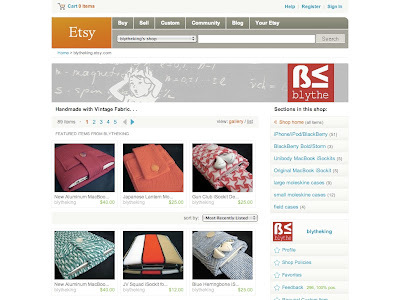 Today's etsy find is Blytheking's shop featuring some sweet cases/sleeves that are handmade in vintage fabric for all your geeky needs - iPhone, iPod, Blackberry, Laptop & Moleskine; I like. My personal fave is this iPhone sleeve. psfk.com is another go-to site and their feature on David Bergman's 1,474 megapixel panorama for Obama's inauguration is simply awesome. The NYTimes has more on the impossible project as does Coolhunting. I really want this project to succeed. Loving me some Lykke Li and think her song I'm good, I'm gone is simply brilliant. 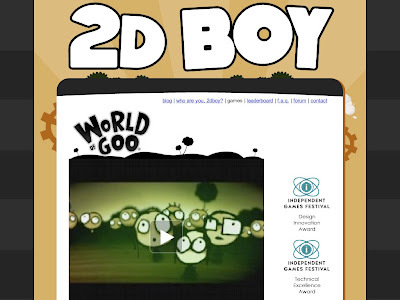 I am intrigued by World of Goo and am seriously tempted to pick it up for the Wii. It just looks so good. Olly found some knock knock jokes last night... and thought I'd share them too. You just never know when you'll need a good knock knock joke. As a family we watched Mr Magorium's Wonder Emporium and absolutely loved it. If you haven't seen it... check it out... its a wonder to watch... and Natalie Portman is superb (and gorgeous). Now for something completely different... I had a cool conversation with everyone's favourite freerange follower-of-Jesus TruckerFrank about food he had been given because their packaging had been damaged. Wastage to one person... is fine food to someone else. It reminded me of the Freegan movement and got me thinking of opportunities for Frank to redistribute excess food. Thing is... he's already one step ahead and already doing it. Good one, Frank! Friendly Fires 'Skeleton Boy' by Clemens Habicht from Nexus Productions on Vimeo. Lastly, we have the video to Skeleton Boy by another fab band I'm loving just now :: Friendly Fires. Thanks to Kitsune Noir for the heads up. I like the point made on the post that the video proves again that creativity totally beats money every time. Some inspiration for my creative friends, me thinks?